Mission "Control" 50mm top load stem. Topload design stem with a 6061 aluminum cast body and cold forged cap for added strength. 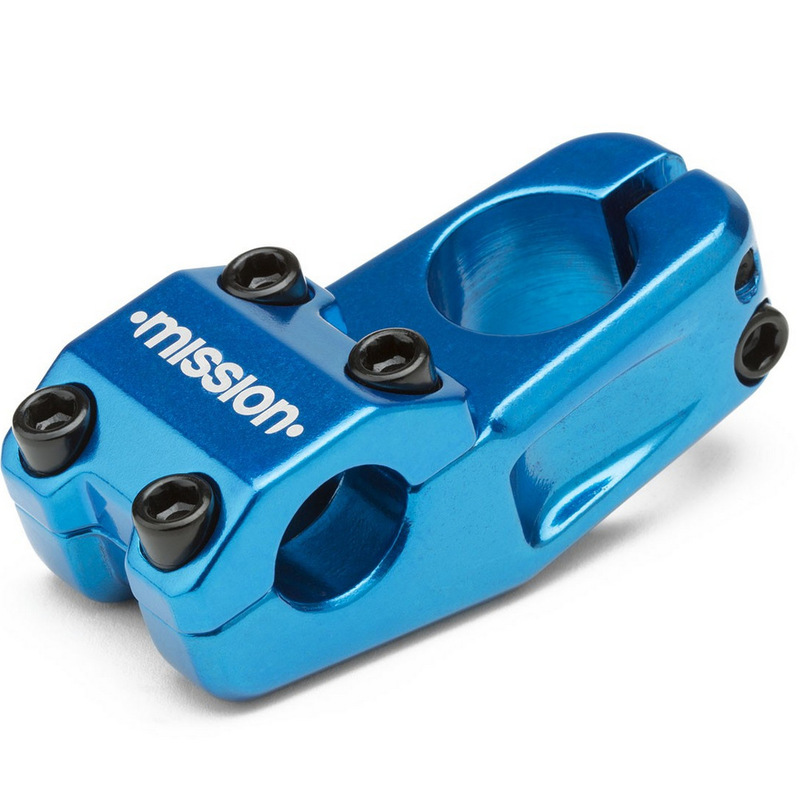 Recessed sides and front make the Control stem simple, sleek and lightweight. The transitional 50mm reach and generous 32mm rise make for a comfortable ride.